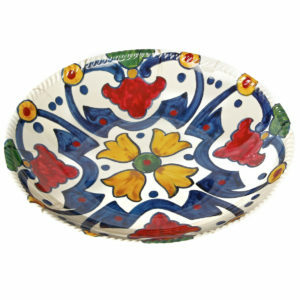 Majolica looks like it would have a colorful history. And it does. Its name sounds like a flavor or a spice. It is defined by many things, including a lot of travel. 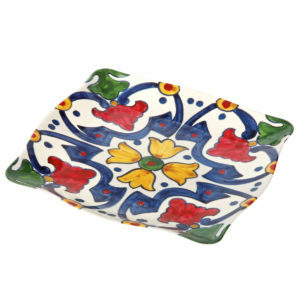 What began around the 15th century as lustered ware imported to Italy from the Spanish islands of Maiorca transformed into a richly colored earthenware produced in Moorish Spain as an alternative to the redundancy of metal serveware. Its bright colors and clever patterns pay homage to its original potters, whose history-rich cultures influenced its flair and naturalistic shapes. 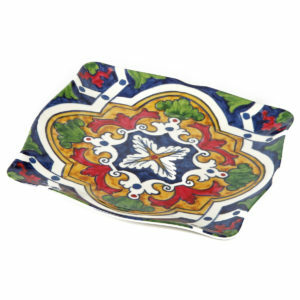 We found a way to replicate its hand-painted beauty on melamine in scalloped plates and trays and deep bowls, where its bold patterns show off best, and boldly support anything you serve up - whether historical or not. 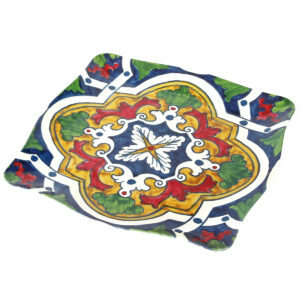 We’ve designed our Majolica patterns to coordinate with our Pallini Collection. Mix & Match to your delight.